Eastlake is a community just north of downtown Seattle on the shores of Lake Union. It is bordered by the lake, Portage Bay, I-5, and E. Garfield St. Eastlake is has some small businesses but is mainly residential. Single family homes and condos for sale here are relatively new, mostly built after the 1980's, and the community also has a large number of houseboats for sale (the most in Seattle, in fact). Like a lot of the city, Eastlake has been voted very walkable and has nearly all the amenities of downtown within a short walk for its residents. | 1 Baths | 408 sq. Ft.
2 Beds | 2 Baths | 1223 sq. Ft.
2 Beds | 2.25 Baths | 1435 sq. Ft.
2 Beds | 1.5 Baths | 1181 sq. Ft.
1 Beds | 1 Baths | 699 sq. Ft.
1 Beds | 1 Baths | 635 sq. Ft.
1 Beds | 1 Baths | 757 sq. Ft.
2 Beds | 1.75 Baths | 1568 sq. Ft.
2 Beds | 1.75 Baths | 870 sq. Ft.
2 Beds | 1.75 Baths | 1096 sq. Ft.
Blue Summit Realty has the most accurate and up to date Eastlake real estate listings on the web. Currently there are 8 homes for sale, 14 condos for sale, in Eastlake. Of the 22 total Eastlake residential listings for sale 0 are bank owned, 0 are short sales, 0 are new construction, and 0 are townhomes. The price ranges from $389,000 to $0 with a median list price of $778,564 and median sold price of $888,817. Make sure to refine your Eastlake real estate search by property type, price, square footage, bedrooms, bathrooms and more with the search tool above or view the Eastlake listings on our interactive map. 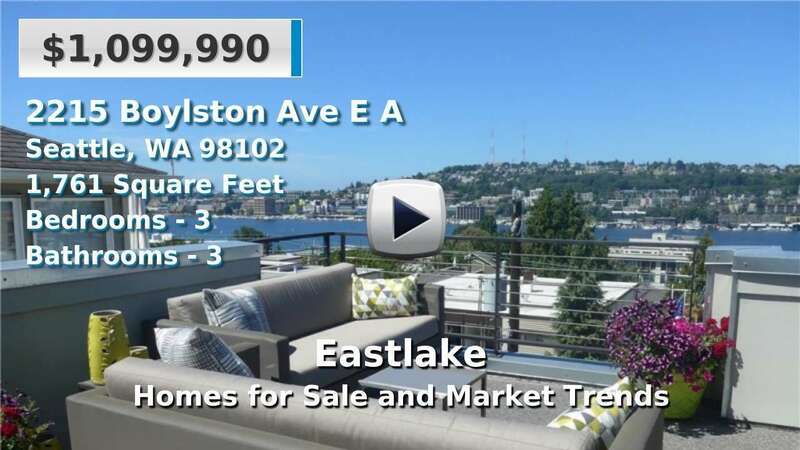 Our Eastlake real estate listings were updated 8 minutes ago.